All sales and transactions are made exclusively on the basis of the following conditions. Any differing conditions only apply if accepted in advance by us in writing. Our offers are subject to change. The right to correct misprints and errors and other change the content of our website is reserved. By making a purchase, you accept the following conditions. All prices quoted included value-added tax (VAT) at the 19% statutory rate applicable in Germany. You will receive an invoice with each delivery that will indicate the VAT included in the order total. You have the right to cancel this contract within fourteen days without giving any reason. The rescission period is fourteen days from the date on which you or a third party named by you (other than the carrier) have taken possession of the goods. clearly stating your intention to rescind this contract. You can sure use the attached rescission template, if you wish, but its use is not mandatory. The notice of rescission shall be deemed timely if it has been sent before the expiry of the rescission period stated herein. If you rescind this contract, we shall refund all payments that we have received from you, including delivery costs (with the exception of any additional costs incurred by your optional choice of another mode of delivery other than the least expensive standard delivery offered by use) within fourteen days from the date on which your notice of rescission has been received by us. We will refund the same method of payment that you used for the initial transaction, unless otherwise agreed with you; in no instance, will you be charged fees for this refund. We may withhold the refund until such time as we have received the returned goods or proof that such goods have been returned, whichever comes first. You shall return the goods to us promptly and in any event not later than fourteen days from the date on which you notify us that you are exercising your right to rescind the contract. The deadline is met if you send back the goods before fourteen days run out. You will only need to pay for any diminished value of the goods if the deterioration in value is due to handling beyond that which was necessary to ascertain the nature, characteristics and functioning of the goods. The right does not apply to goods which are not prefabricated and which the consumer normally makes individual choices or decisions in how they are manufactured or which are clearly tailored to the personal needs of the consumer. 1. Please avoid damage and soiling of the merchandise. Please return the goods in their original packaging with all accessories and all packaging components. Use protective outer packaging if necessary. If you no longer have the original packaging, please provide a suitable package for adequate protection against damage during transport. 2. Send the goods with the postage prepaid. If possible, please use the parcel service that made the original delivery to you. We will be glad to prepay your return shipping costs in advance if you are responsible for the return. 3. Please note that the process in para. 1 and 2 above are not necessary to exercise your right of rescission. We will only deliver goods ordered while stocks last. payment in advance, Sofortüberweisung, and PayPal. If you want to pay by credit card, please use PayPal to process your payment. We will sell to government authorities on account. Please get in touch with us to arrange this. Wood is a living material. 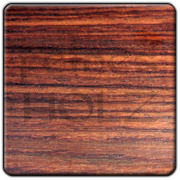 Changes in relative humidity or temperature (such as during transport or storage) may, in exceptional cases, cause the wood to fade or warp. Despite taking great care in all of our measurements, you must allow for tolerances and variations in measurement for these reasons. These can be differences of ± 1 to 2 mm. The place of performance is Berlin. For contracts with merchants and customers from abroad the place of jurisdiction is also Berlin. Until full payment is received for your purchase, the goods remain our property. If any provision of this agreement is invalid, the validity of the remaining provisions shall not be affected.